With a vision to phase out traditional cigarette brands in favour of healthier alternatives, Philip Morris International has invested billions of dollars into the research and development of its IQOS range of devices, which heats instead of burns tobacco. The award-winning design behind IQOS offers a “cleaner way” for smokers to enjoy real tobacco with no ash, less smell and barely any smoke. PMI also claims that IQOS generates on average 90% lower levels of harmful chemicals compared to ordinary cigarettes. 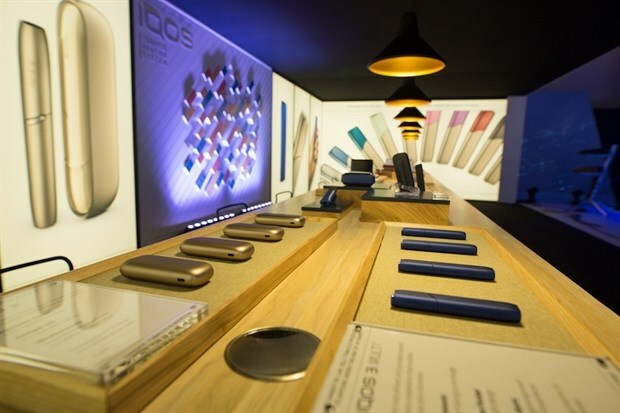 The cigarette and tobacco giant, responsible for brands like Marlboro and Chesterfield, just launched the most advanced IQOS versions yet at a swanky event in Johannesburg two weeks ago. Driven by customer feedback on the older generation of devices, the latest IQOS 3 and IQOS 3 Multi have a more sophisticated design and new features including a simplified user interface and smaller holder and charger. Both devices come with a choice of more than 500 colour combinations and accessories, but unique to the IQOS 3 Multi is the ability to use the device 10 consecutive times without the need to recharge. “The update of the product comes after two years of global development resulting in improved design and functionality, leading to a more sophisticated device that is easier to use and to clean, with longer battery life while offering the most refined and enjoyable tobacco experience,” says Marcelo Nico, managing director, Philip Morris South Africa. PMI reports that thousands of adult smokers per day globally make the change and switch from cigarettes to IQOS. “Almost 6 million adult smokers have already chosen IQOS and quit cigarettes,” Nico elaborates. What may give IQOS the edge is that smokers may have a natural affinity towards a device that lets them smoke real tobacco, as opposed to liquid nicotine found in e-cigarettes and vapourisers. It also doesn’t hurt that as far as smoking devices go, IQOS is miles ahead of competitors in the looks department. IQOS uses an electric heat source to heat tobacco at precisely controlled temperatures below combustion levels. 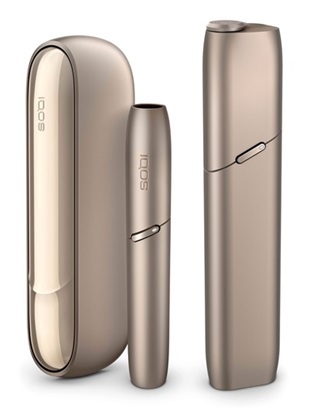 The system is used with specific tobacco sticks called Heets, and in contrast to lit-end cigarettes, which generate smoke, IQOS is designed to reduce exposure to harmful and potentially harmful constituents by electronically heating the tobacco, which generates an aerosol. In a report on Business Day, Nico reveals that Philip Morris wants at least 30% of its global volumes to come from smokeless products by 2025. To accelerate that shift, the company plans to open a flagship store in Johannesburg to raise awareness among consumers. The group also inserted notes in more than 10-million Marlboro packs this year to promote smokeless products. “The launch of the new IQOS 3 and IQOS 3 Multi is another step in PMI’s ambition to encourage all those adult smokers who would otherwise continue smoking to switch to better alternatives,” he says.